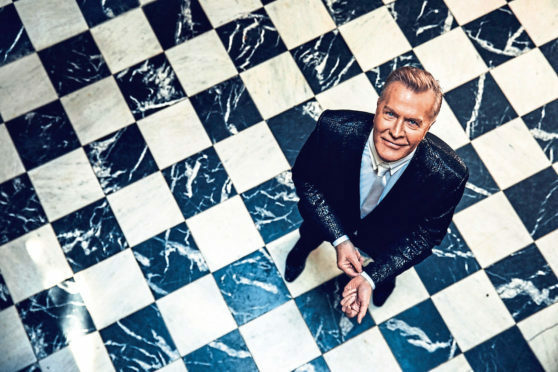 Fronted by Martin Fry ABC has enjoyed a career as one of a number of groups who came along and kick-started the era with their own brand of pop for a “new decade”. On its release in May 1982, their debut album The Lexicon of Love crashed straight into the UK album charts at number one showcasing the hits songs Tears Are Not Enough, Poison Arrow, The Look Of Love and All Of My Heart. 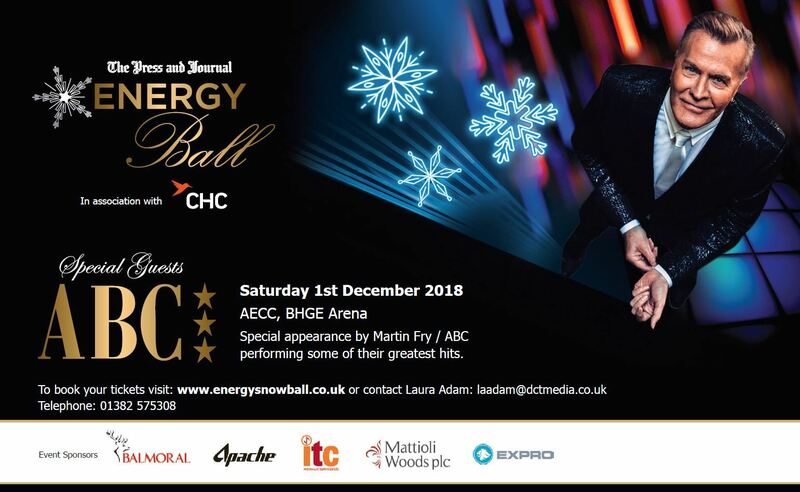 Now, this December, those lucky enough to secure a place at the Press and Journal’s Energy Snow Ball will get to hear them play to a packed audience as they have been confirmed at the event’s main entertainment. This year’s festivities will take place at Aberdeen Exhibition and Conference Centre (AECC) BHGE Arena on December 1 and, with the oil and gas industry in recovery mode, demand for tickets has been strong. Held in association with North Sea helicopter operator CHC, other sponsors include Balmoral Group, Apache and ITC Hydraulic Services. It will also be one of the final chances to enjoy the AECC before a £333 million venue, The Event Complex Aberdeen opens next year. People are still talking about last year’s Energy Snow Ball, which took place in a glass marquee in the quadrangle at Marischal College. Jack Frost and fairytale ice maidens welcomed guests who later danced the night away to the tunes of Club Live and former Spandau Ballet frontman Tony Hadley. One guest pulled a once-in-a-lifetime helicopter ride out of a Christmas cracker, with the prize presented by Mark Abbey of sponsor CHC Helicopter.